We’re all very aware of the current heightened concern over the spread of Ebola, with the World Health Organisation confirming that 1,069 people have been killed by the virus in West Africa. First isolated in 1976 during outbreaks of an unidentified viral haemorrhagic fever in southern Sudan and northern Democratic Republic of the Congo (formerly Zaire), Ebolavirus was named for a small river in northern DRC until it was later determined that the two outbreaks were were caused by two distinct species: Zaire ebolavirus and Sudan ebolavirus. What later became the genus Ebolavirus, part of the family Filoviridae also containing the Marburgviruses, now contains five species each named for the region in which it was first identified: Zaire ebolavirus, Sudan ebolavirus, Reston, Taï Forest ebolavirus and Bundibugyo ebolavirus. As can be gathered from species names within Ebolavirus, the resulting haemorrhagic fever poses a major public health hazard in equatorial Africa with no known cure or vaccine, mortality rates can reach as high as 90%[1,2,4]. It is clear a lot of research is currently being carried out to create an Ebola vaccine, and Canada said it would donate up to 1,000 doses of an experimental Ebola vaccine to help fight the outbreak. We are calling on our community to highlight any antibodies for Ebola research that might be useful for us to add to CiteAb at this time. If you have a suitable antibody please email Matt. 1 – Feldmann H, Geisbert TW. 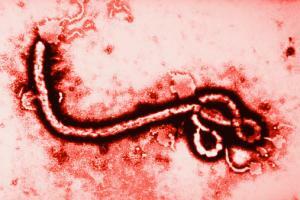 Ebola haemorrhagic fever. Lancet. 2011 Mar 5;377(9768):849-62. 2 – Baize S, Leroy EM, Georges AJ, Georges-Courbot MC, Capron M, Bedjabaga I, Lansoud-Soukate J, Mavoungou E. Inflammatory responses in Ebola virus-infected patients. Clin Exp Immunol. 2002 Apr;128(1):163-8. – Zampieri CA, Sullivan NJ, Nabel GJ. Immunopathology of highly virulent pathogens: insights from Ebola virus. Nat Immunol. 2007 Nov;8(11):1159-64. 4 – Nakayama E, Saijo M. Animal models for Ebola and Marburg virus infections. Front Microbiol. 2013 Sep 5;4:267.